There’s no doubt, you will face difficult times throughout your life. You cannot avoid hardship altogether. But you are in charge of how you respond to it. 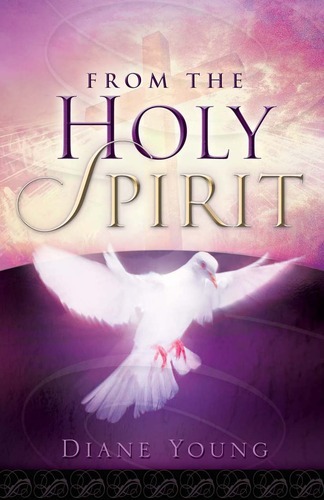 In “From the Holy Spirit”, Diane Young—allowing the Holy Spirit to speak to her—offers numerous prayers to bring you strength, joy, prosperity and comfort when you need it most. These easy-to-read prayers are based on “The Living Bible”. You’ll want to keep this book close at hand so you can flip it open in an instant. As Exodus 14:14 states, “The Lord will fight for you…” Let these prayers help you to ask for the Lord’s help in dealing with any difficult situations you face currently, along with any that may come your way, and bring you comfort knowing that the Lord wants to bless you richly.